Russka is the story of four families who are divided by ethnicity but united in shaping the destiny of Russia. From a single riverside village situated at one of the country’s geographic crossroads, Russia’s Slav peasant origins are influenced by the Greco-Iranian, Khazar, Jewish, and Mongol invasions. Unified by this one place, the many cultures blend to form a rich and varied tapestry. Rutherfurd’s grand saga is as multifaceted as Russia itself. Drawing on historical documents and contemporary accounts and on exclusive interviews with Carlsen's family, Delaney opens a window into the world of the merchant marine. With deep affection, and respect, for the weather and all that goes with it, he places us in the heart of the storm, a "biblical tempest" of unimaginable power. He illuminates the bravery and ingenuity of Carlsen and the extraordinary courage that the 37-year-old captain inspired in his stalwart crew. “My wooing began in passion, was defined by violence and circumscribed by land; all these elements molded my soul.” So writes Charles O’Brien, the unforgettable hero of best-selling author Frank Delaney’s extraordinary novel - a sweeping epic of obsession, profound devotion, and compelling history involving a turbulent era that would shape modern Ireland. Born into a respected Irish-Anglo family in 1860, Charles loves his native land and its long-suffering but irrepressible people. As a healer, he travels the countryside dispensing traditional cures while soaking up stories and legends of bygone times - and witnessing the painful, often violent birth of land-reform measures destined to lead to Irish independence. At the age of 40, summoned to Paris to treat his dying countryman - the infamous Oscar Wilde - Charles experiences the fateful moment of his life. In a chance encounter with a beautiful and determined young Englishwoman, 18-year-old April Burke, he is instantly and passionately smitten - but callously rejected. 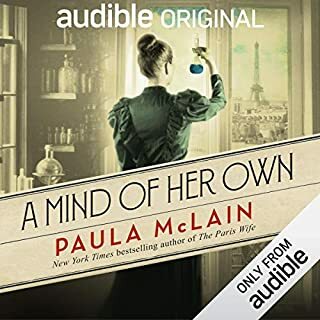 Vowing to improve himself, Charles returns to Ireland, where he undertakes the preservation of the great and abandoned estate of Tipperary, in whose shadow he has lived his whole life - and which, he discovers, may belong to April and her father. As Charles pursues his obsession, he writes the "History" of his own life and country. While doing so, he meets the great figures of the day, including Charles Parnell, William Butler Yeats, and George Bernard Shaw. And he also falls victim to less well-known characters - who prove far more dangerous. Tipperary also features a second "historian": a present-day commentator, a retired and obscure history teacher who suddenly discovers that he has much at stake in the telling of Charles’ story. In this gloriously absorbing and utterly satisfying novel, a man's passion for the woman he loves is twinned with his country's emergence as a nation. With storytelling as sweeping and dramatic as the land itself, myth, fact, and fiction are all woven together with the power of the great 19th-century novelists. 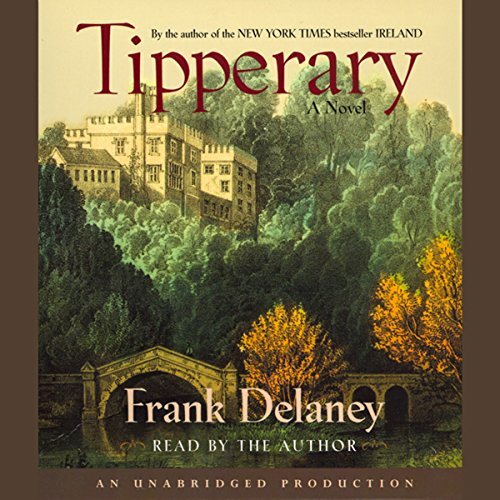 Tipperary once again proves Frank Delaney's unrivaled mastery at bringing Irish history to life. ©2007 Frank Delaney (P)2007 Random House, Inc. Random House Audio, a division of Random House, Inc.
Delightful. Charming. Enchanting. Frank Delaney is a master storyteller and a magnificent narrator. 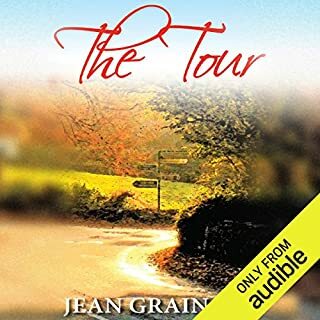 His writing style and superb voice combine to magically transport the listener to another place and time with vivid colors and captivating characters. This story is a little complicated so I was forced to listen to it again and again to completely understand what was happening. OH MY! Don’t throw me into that briar patch! I enjoyed every minute of it. Also, I highly recommend Ireland: A Novel and Simple Courage. I sincerely hope Mr. Delaney records all of his other written works. Ditto to what Kathy wrote about this book. This is one of those great audio books that some of spend so much time looking for. I will surely listen to it again. My wife and I listen to a lot of audio books in the car as we travel. This was another fantastic story that lead us through "Ireland". With enjoyable characters and a plot that thickens as Ireland changes. We think you should hear this book and also the authors other book Ireland which is also wonderful! Frank Delaney is a shanachie, following on in the old tradition of the storytellers of Ireland. This would seem to be the method he employs, but to be more precise, behind the apparent simplicity and anecdotal nature of the tales he tells lies a very sharply-honed novelist's mind. 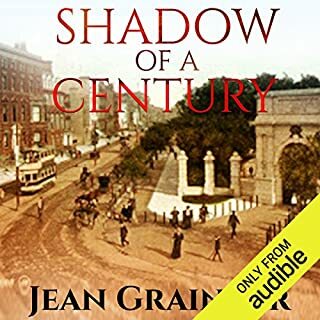 There is a design behind the loosely linked series of stories through which the principal narrator Charles O'Brien sets out his own life story from the 1860s through to the early 20th century. Charles acts as a witness to the way in which the land was restored to the dispossessed and embittered native population and comes in contact, often quite innocently, with major figures of the period such as Parnell, Oscar Wilde, Yeats and Shaw. Other voices interject from time to time to indicate that Charles for all his confidence in his own eloquence and grasp of the situation surrounding him often doesn't quite understand how others see him nor what is really taking place in the country. This is wonderfully well done and constitutes a fresh and rather variegated look at a period which most of us in Ireland only know from textbooks. One of the most devastating and politically incorrect and possibly quite true themes that continually comes through (flying in the face of the pieties of the modern Republic) is that there is such an enormous disparity between native Catholics and settler Protestants, both of whom passionately love the land, that there is practically no hope whatsoever of the two tribes or even species -- it goes way beyond simple things such as religious differences -- ever being able to comprehend one another. And all this is done indirectly through anecdote and story in such a familiar idiom for those of us who were born and live or have lived on this island that it brings me back to the title for this review: familiarity shading into amazement! Would you try another book from Frank Delaney and/or Frank Delaney? I will definitely try another of his books. What does Frank Delaney bring to the story that you wouldn’t experience if you just read the book? His voice brought the story to life and I felt like I would like to go there to Tipperary! I found the story to be interesting and enjoyable. I loved the characters and the history. 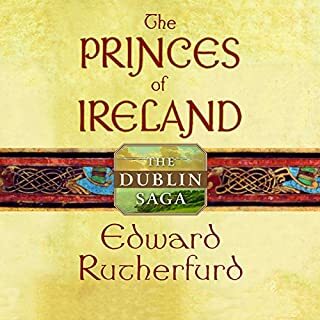 Initially I thought the story was slow moving and disjointed but as it progressed I realized this was necessary to lay the groundwork for a beautifully woven tale of love and loyalty against the backdrop of Irish history. This was a good read, but Delaney does much better in other books. The story was a bit convoluted, and with my attention drifting, difficult to follow. Good, but not my favorite. I loved this tale from beginning to end! I felt as though I knew each character personally, and was captivated by their lives and adventures. So well written and developed with the perfect narration. I will miss each character as though they were old friends! What did you love best about Tipperary? 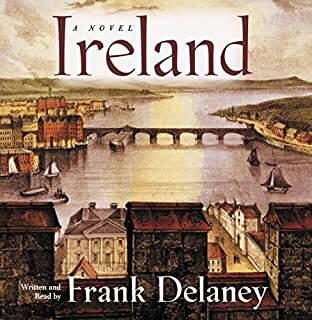 A love story and historical Irish history intertwine together in this delightful saga read by author, Frank Delaney. His Irish lilt and his ability to change his cadence based on the novel's narrator made it both compelling and addictive. Throughly enjoyed it. awesome great book and setting. recommended highly. . . . . . . . . Authors narration brings this novel to life. Story doesn't need accidental meetings with famous characters. A delightful listen, well paced, keeping one hanging in throughout without any dreary areas, and good surprises that only real life can dish up. 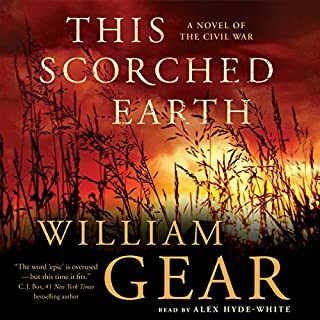 If the star rating system allowed I would give this novel 4 1/2 stars, losing 1/2 a star because occasionally I wasn't too sure who that section was about. Was it Charles speaking, or his mother or his friend? Then the lights come on and a short rewind is necessary to fully appreciate it.